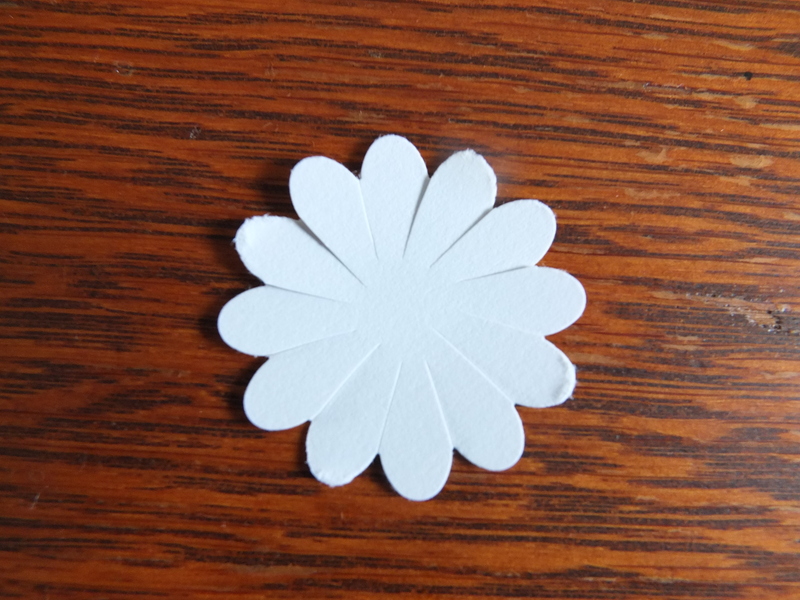 2) Cut almost to the middle of the flower along the valleys of the flower. 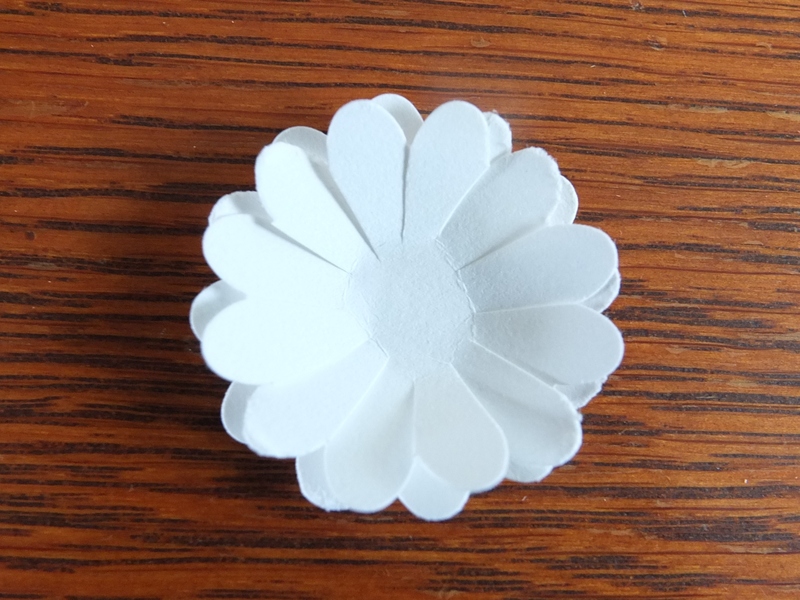 3) Fold up the petals of the flowers towards the centre to create some dimension. 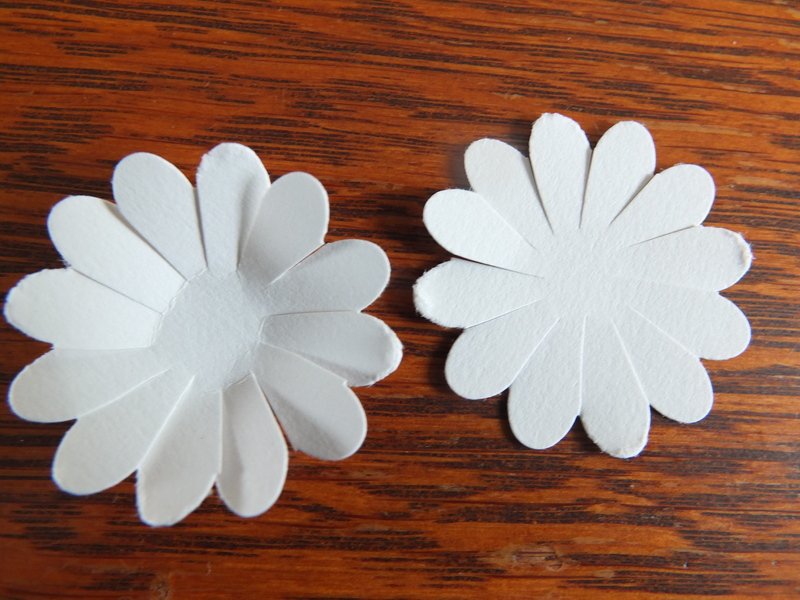 4) Using the tape runner place one flower over the other making sure the flowers overlap. 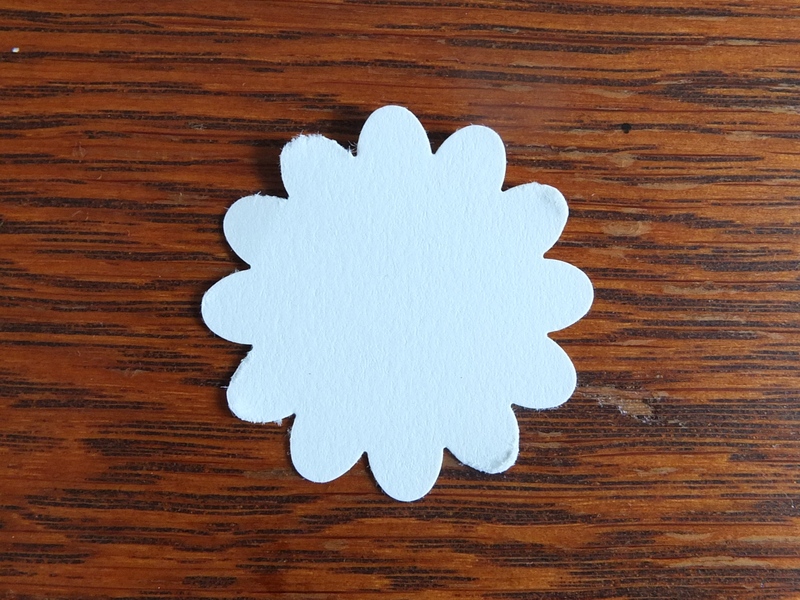 5) Punch the centre of the flower using the Snowflake Mini Pocket Punch out of yellow cardstock and place in the middle using the tape runner. 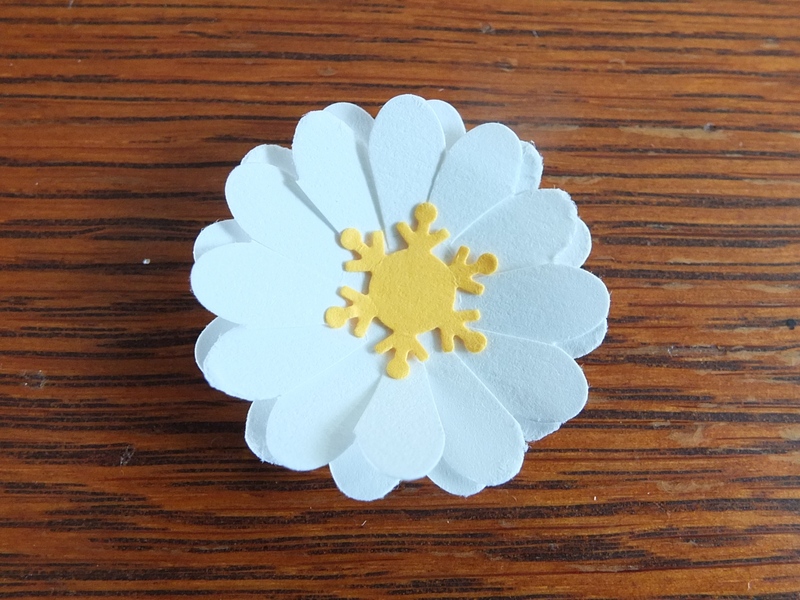 I could also have used the Border Maker -Twinkle Chain cartridge and used the centre of the patterns as well for the centre of the flower and used two to get a different effect. 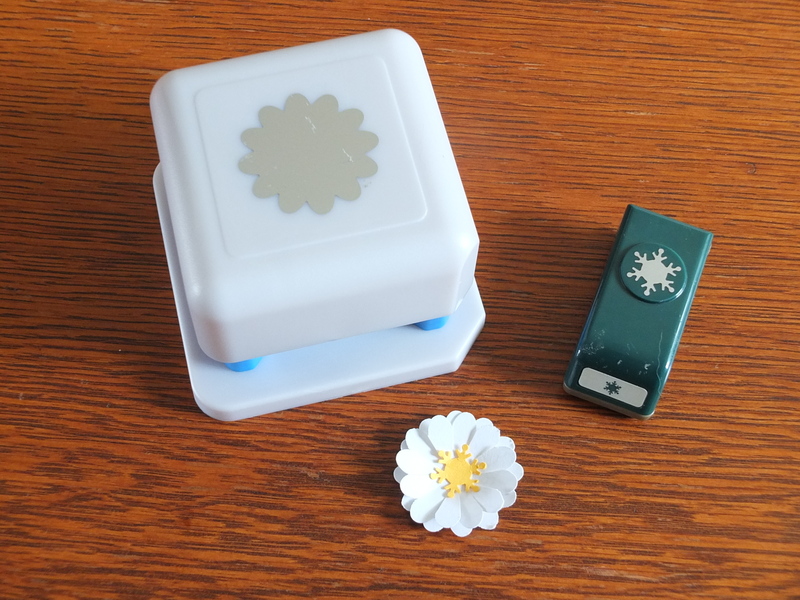 As you can see the daisy is very simple to make and I hope you have fun with this idea.